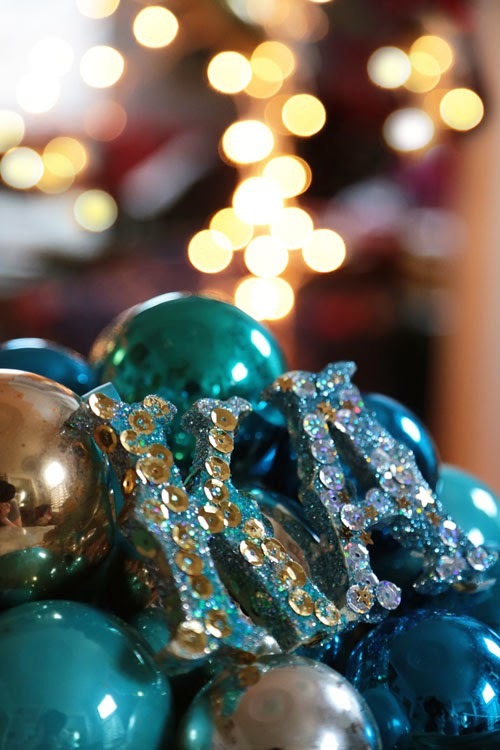 Homemade Christmas ornaments are always an excellent gift, but when you take the time to personalize them by using the recipient's initial, the gift becomes that much more special. 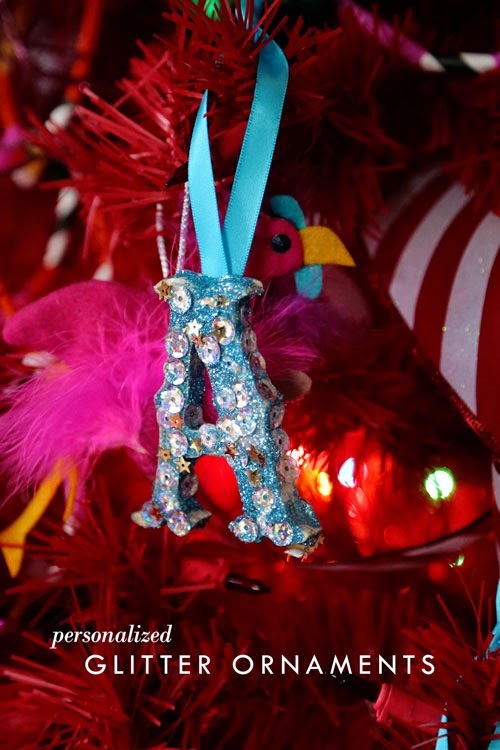 These monogram ornaments are made up in Christmasy glitz and sparkles, but also featuring colors that could easily hang on a doorknob or a package any time of year. I used aqua and silver with touches of gold and white because I was thinking about the movie Frozen when I made them (the recipients will appreciate the thought), but these would look great in just about any color under the rainbow. Let's make some! 1. Use a paint brush to cover the letter. 2. 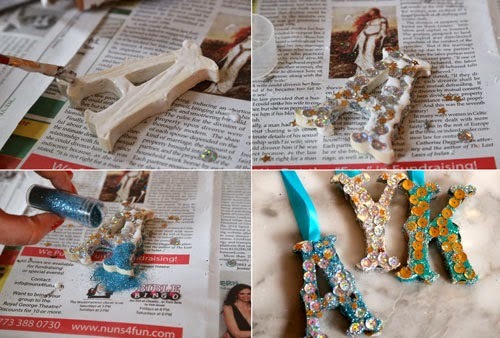 Place sequins along the top and sides of the letter. 3. 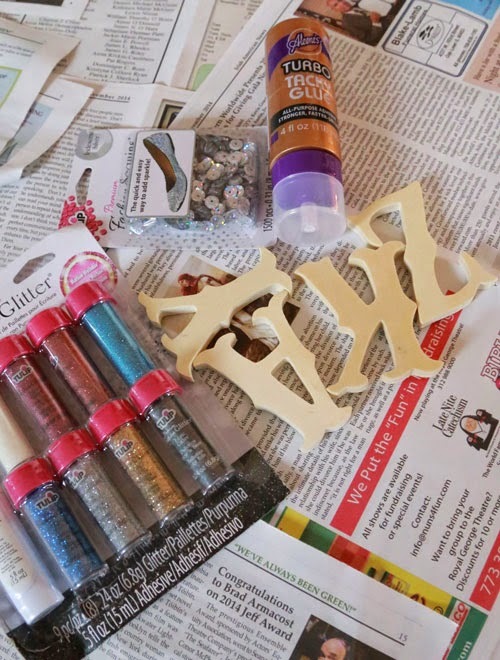 Cover with glitter, pour off excess. 4. 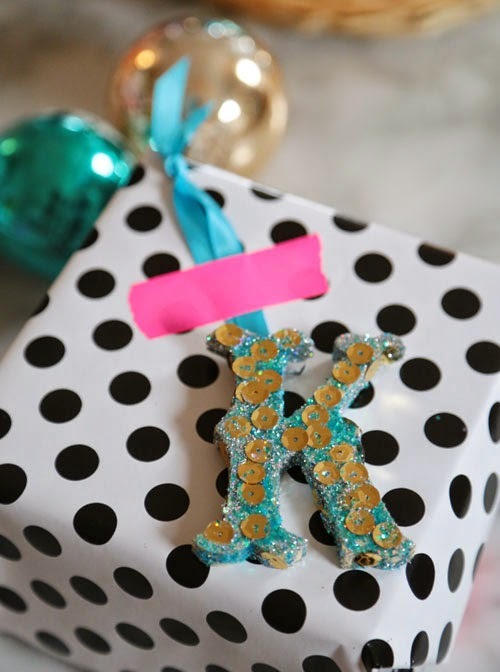 Add a ribbon hanger to the back with a dab of glue. Dry overnight. The magic happens when the glitter settles in the crevasses between the sequins. Extra sparkle factor here! 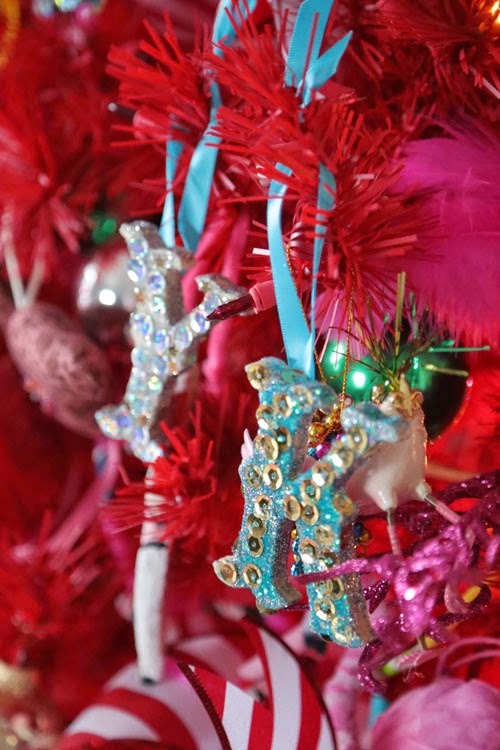 One of my favorite ways to use these ornaments is to tie them on another package. Rest assured, they'll know who it's for!